Winter Patriot: CAUTION! Headlines From Afghanistan May Be Misleading -- Again! CAUTION! Headlines From Afghanistan May Be Misleading -- Again! The headline in Thursday's Washington Post told you all you needed to know ... maybe! KABUL, Afghanistan -- U.S.-led coalition forces and Afghan troops fought two separate battles with militants in southern Afghanistan, killing more than 60 suspected Taliban insurgents, officials said Thursday. You'll notice that the "Taliban killed" from the headline are now "suspected Taliban insurgents" ... but only for a little while! Coalition forces and Afghan troops attacked a cluster of buildings in Helmand province that militants have been using to launch attacks. 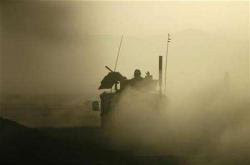 More than 50 Taliban were killed and several others were wounded in the 12-hour gunbattle that ended early Thursday. "Coalition air support dropped two bombs on the compounds with the greatest concentration of insurgents," a coalition statement said. "Both compounds produced significant secondary explosions immediately suggesting a large quantity of explosive material was present in each." You see? We're back to "more than 50 Taliban were killed", and the article helpfully provides some context. Secondary explosions. Ya-hoo! The clash happened near the village of Musa Qala, where a peace deal struck last year with local elders effectively ceded control of the area to Taliban fighters. The agreement between the elders and the Helmand government prevents NATO and Taliban forces from entering the town, but militants still use the area as a staging ground for raids against Afghan and foreign troops. That's some "peace deal": an agreement that prevents NATO and Taliban forces from entering the town but doesn't prevent militants from using the area, nor apparently does it prevent "coalition air support" from bombing the buildings in the area. I suppose it all hinges on what you mean by "enter". Militants recently attacked a coalition patrol with heavy machine guns and rocket-propelled grenade launchers, prompting the assault on the compound. A coalition soldier broke his hand during the fight, the coalition said. "They are using Musa Qala as a base of support and it is believed that they will stay and defend the area rather than use their normal hit-and-run tactics," the coalition said. So there's the story. Retribution and self-defense in some combination, and of course the targets were "the compounds with the greatest concentration of insurgents". It almost kind of makes sense, doesn't it? Afghan troops clashed with the Taliban for three hours leaving 10 suspected militants and one policemen dead, said Sayed Afghan Saqib, Kandahar provincial police chief. So there you have it; 10 suspected militants dead in Kandahar province, another 50 Taliban killed in Helmand: so that's 60 Taliban Killed, right? A NATO soldier was also killed today following a clash with militants in southern Afghanistan, the alliance said in a statement. The soldier's nationality and the exact location of the clash were not revealed. There! That's better! Not that there's anything better about losing a soldier, especially if you are a friend or relative of that soldier. But now the story makes more sense, as we all know that nobody can kill radical militants by the score without suffering at least some casualties -- even if the killing is done mostly by bombing buildings from the air. It seems amazing that we can bomb buildings from airplanes without killing civilians, doesn't it? Prepare to be less amazed, because the real story of those bombardments -- which the Pentagon would certainly call "enemy propaganda" -- comes to us via Reuters, from the people who live there. One of the raids by NATO hit houses in the Girishk district of Helmand province on Thursday evening, killing up to 50 civilians, a group of some 20 residents reported to journalists in Kandahar, the main city in the south. Wali Jan Sabri, a parliamentarian from Helmand, said he had credible information that between 50 to 60 civilians had been killed in a battle between the Taliban and NATO forces in Girishk. He said most of the victims were killed in air strikes. "Yes, there was a battle ... and most of those killed were from NATO bombardment," he told Reuters. A second source reliable source in the area has confirmed the civilian deaths, and said the civilians were killed while trying to run away. The district chief of Girishk, Manaf Khan, said more than 20 civilians were killed in NATO bombing when they were trying to flee the battle. "The fighting was fierce between Taliban and NATO," he told Reuters. "Civilians began to flee and 27 or 28 of them were killed while fleeing NATO bombing. I do not have information about the wounded," he said. He later phoned Reuters to say said that 50 Taliban were also killed in the bombing and battle. The Taliban could not be reached for comment. A spokesman for British forces in Helmand said there was an ongoing operation in the province, but denied there had been any civilian casualties around Girishk. "We have no reports of any such incidents in Girishk yesterday at all. There have been no people taken to the hospital ... in relation to anything around Girishk," said Lieutenant-Colonel Charlie Mayo. "Because the Taliban don't wear uniforms like us, as soon as they are killed, they are called civilians, the key is are they male or female and if they are male, what age are they?" Even if you're like me -- a little bit numb, a little bit cold -- you may notice the inversion-of-truth spin technique used here. We've been reading about battles in which only Taliban insurgents -- not civilians -- were said to have been killed. Since the bulk of the killing was apparently done by airstrike, it seems natural to ask: How come there haven't been any civilian casualties? But to hear it from the British, we've got it the wrong way 'round: Taliban fighters, "as soon as they are killed, they are called civilians"! It's a remarkable upside-down world, is it not? the key is are they male or female and if they are male, what age are they? which states quite clearly -- between the lines -- that all dead adult males are Taliban militants. In other words, when they say "60 Taliban killed" they really mean "60 adult men killed". Malim Mirwali, a member of Parliament for Gereshk, said that more than 40 civilians were killed in the airstrikes - a figure that one local resident also cited. "The war planes came and bombed these villagers - more than 40 civilians killed, including women and children," said villager Nimatullah Khan. So who is spinning whom? The civilian death toll continues to rise quickly, mostly because of "coalition airstrikes", in episodes not unlike this one, in which initial reports of spotless military victory turn out to have hidden some very gruesome details, and which will surely fuel the growing violence against the occupying foreigners. Thus we will see more gunfights and ambushes, followed by massive airstrikes, ever more violence in which the majority of the damage is borne not by Taliban fighters or even Islamic militant wannabes, but by the innocent people of Afghanistan: people who are more like ourselves than we care to admit; people who are mostly concerned about taking care of themselves so they can help their children and/or their parents; people who have no truck with either side; people who mostly want the war to go away and leave them alone. If it seems to you that raining death from the sky on these people is a moral outrage, you will find scant agreement in the "national discourse", in which it has only recently been acknowledged that civilian casualties make for bad PR, especially if cast against the question of "success" or "failure" in Afghanistan. 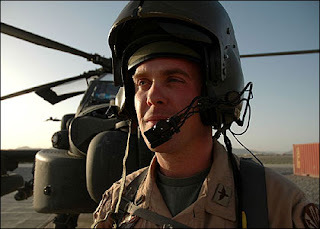 Carlotta Gall reported about "excessive" civilian casualties in Afghanistan for months, and nobody paid very much attention to her articles, which ran in the New York Times and nowhere else. But then the Afghan parliament started tallking about passing a resolution condemning airstrikes on civilians and the European "coalition" partners suddenly became concerned about what they see as an "image problem", and back in May Carlotta Gall began to write about civilian casualties as "undermining" the war effort. And strange things began to happen: Other newspapers began to carry her articles, more bloggers began to mention civilian casualties in Afghanistan, and a little more of the reality of Afghanistan began to seep into the national discourse. If they can't run fast enough to get away from the bombing, that's their problem. "When you are on top of the enemy you look, shoot and it's, 'You die, you die, you die'," Lt Denton said. "The odds are on our side. I really enjoy it. I told my wife, if I could come home every night then this would be the perfect job."